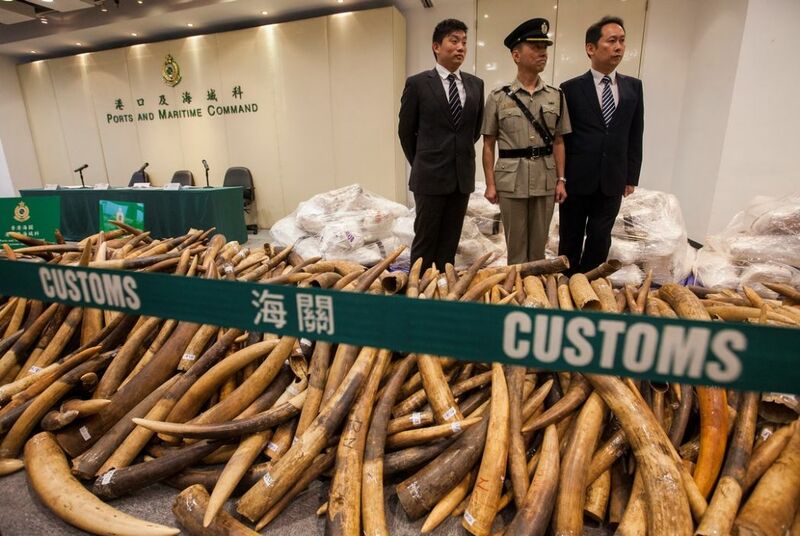 Hong Kong Customs seized 7.2 tonnes of ivory tusks from a container arriving from Malaysia at the Kwai Chung Customhouse Cargo Examination Compound on Tuesday. It was the largest bust of its kind in Hong Kong in 30 years. 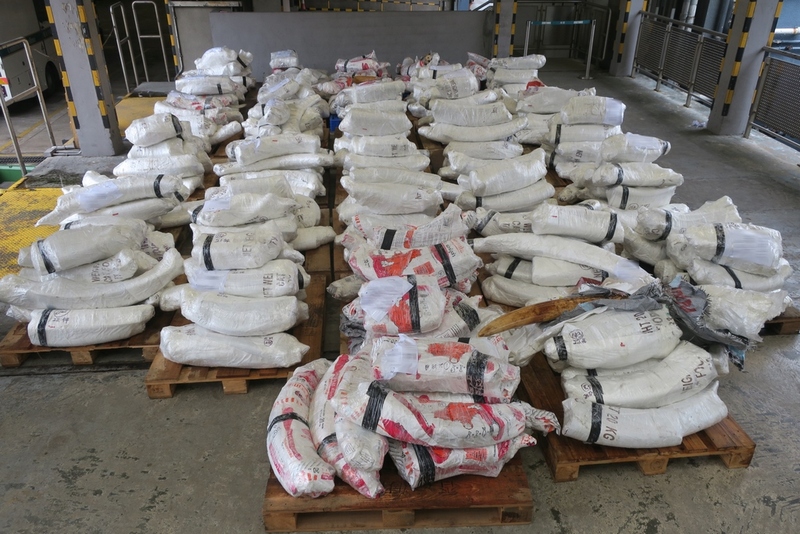 The illegal shipment – which also included frozen fish – had an estimated value of HK$7.2 million. Accompanying shipping documents indicated that Hong Kong was the final destination for the haul. 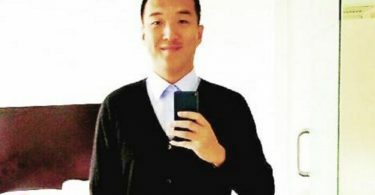 A male proprietor and two female staff members were arrested after a follow-up investigation. According to the NGO WildAid, Tuesday’s seizure represents between 700 and 1,000 elephants – including many baby elephants. 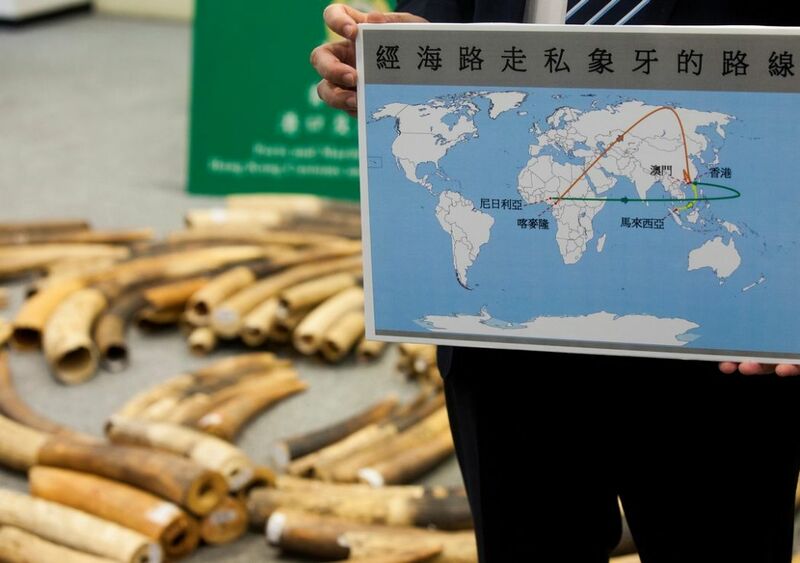 WildAid campaigner Alex Hofford told HKFP that the action demonstrates the will of transnational smuggling networks to take advantage of the current lack of legislation in Hong Kong regarding the ivory trade in light of a potential citywide ban by 2021. China has said it will ban the processing and sale of ivory and ivory products by December 31, 2017. A debate in the Legislative Council is ongoing. 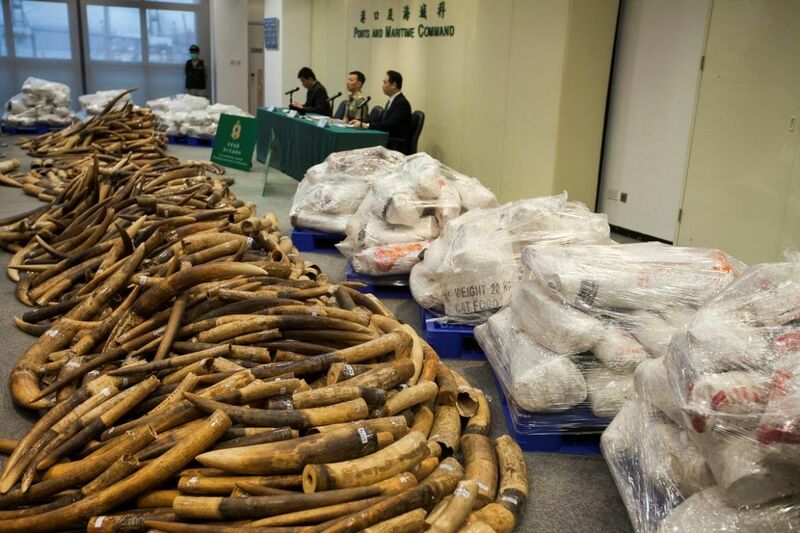 In June, Hong Kong Customs seized approximately 57.6 kilograms of suspected worked ivory with an estimated value of HKD1.15 million at Hong Kong International Airport. 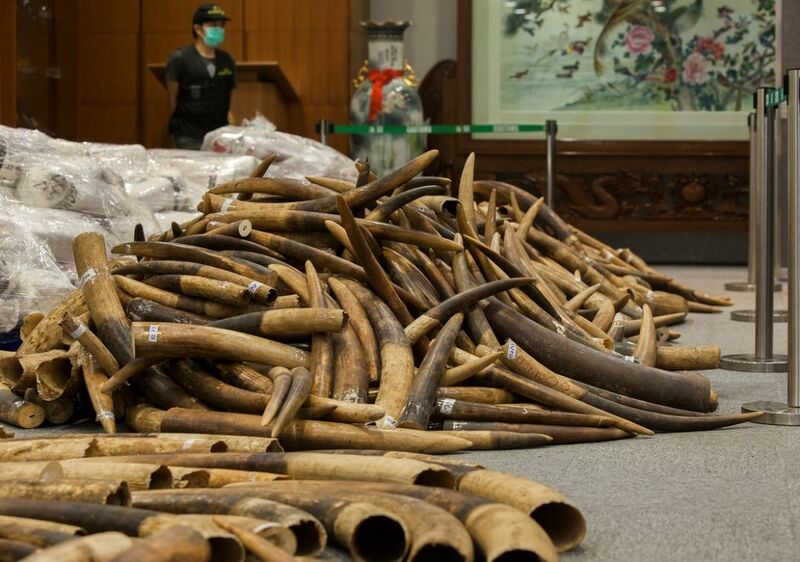 Tuesday’s seizure marks the eighth ivory bust since the beginning of 2017, including both seizures of worked and raw ivory tusks, and individual smugglers. 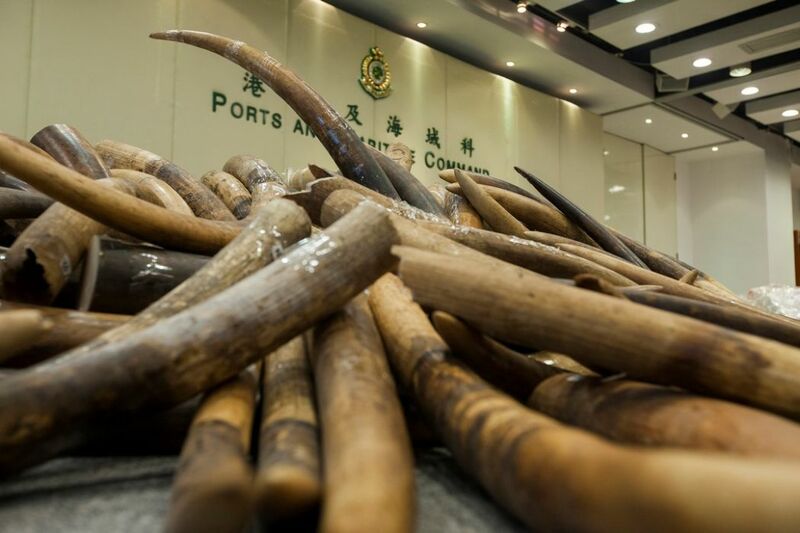 Any person found guilty of importing or exporting an endangered species without a licence is liable to a maximum fine of HK$5 million and imprisonment for two years, under the Protection of Endangered Species of Animals and Plants Ordinance. 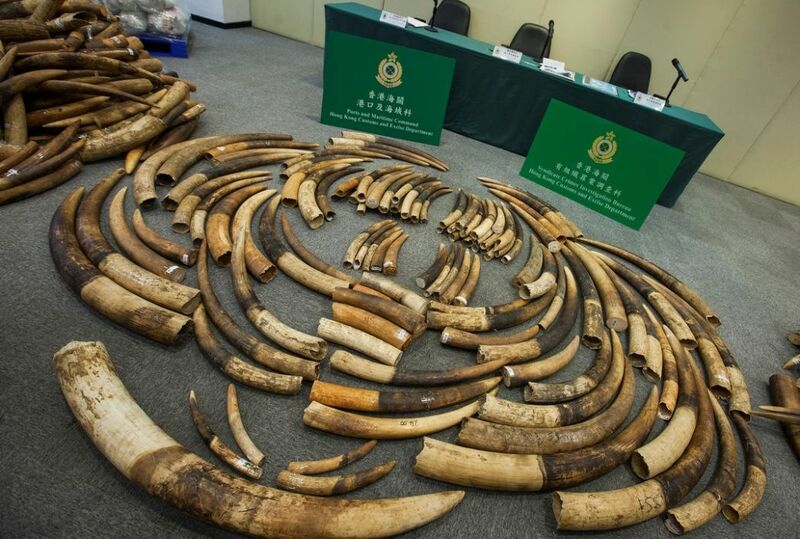 Correction 20:33 A previous version of this article erroneously stated that transnational smuggling networks wanted to take advantage of compensation schemes designed to aid local ivory traders. No such compensation scheme currently exists.